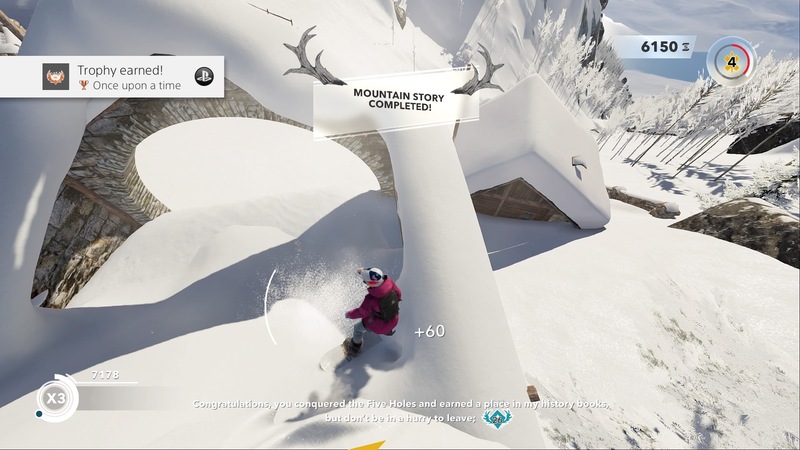 Steep was unleashed upon the world last December and has just added the slopes of Alaska to its open world playground that started out in the Alps. There’s a free trial all weekend long (starting on 3-10-2017) but is the game worth the download? When one thinks of a snow based game in this day and age, one immediately thinks about skiing or snowboarding down the slopes on a set course or on a set path. 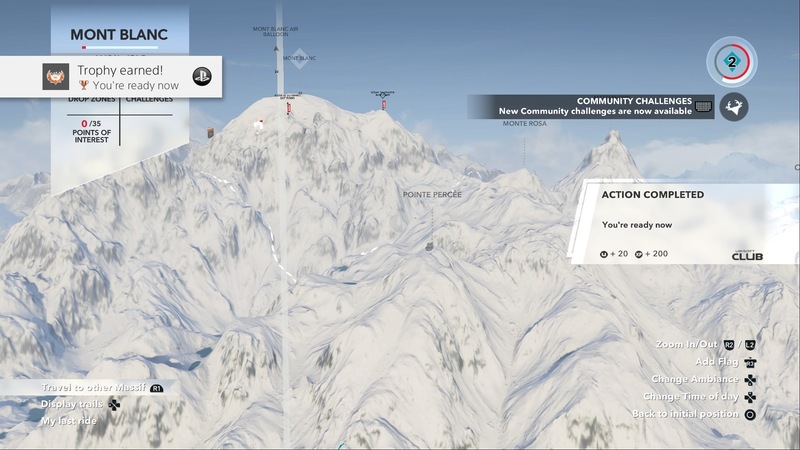 You wouldn’t expect to be able to just drop in anywhere on a map and shred that fresh powder from any point a chopper can reach. 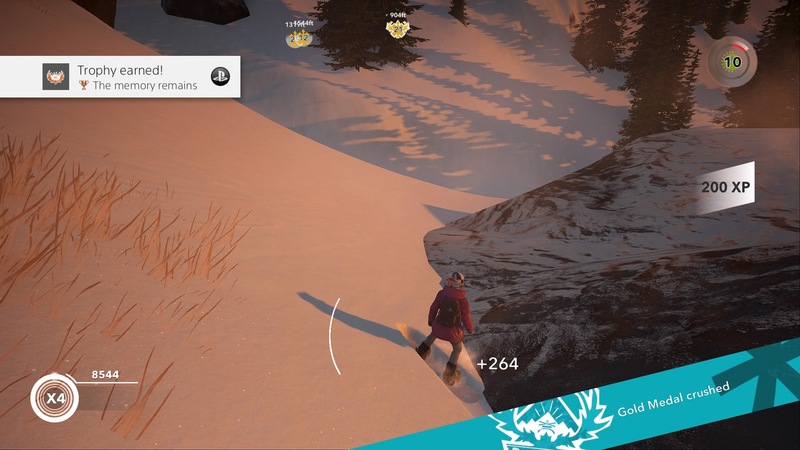 Of course, if you are playing Steep, an open world, extreme sports experience, you can do just that. If your chopper can reach it, you can start doing whichever activity you wish. 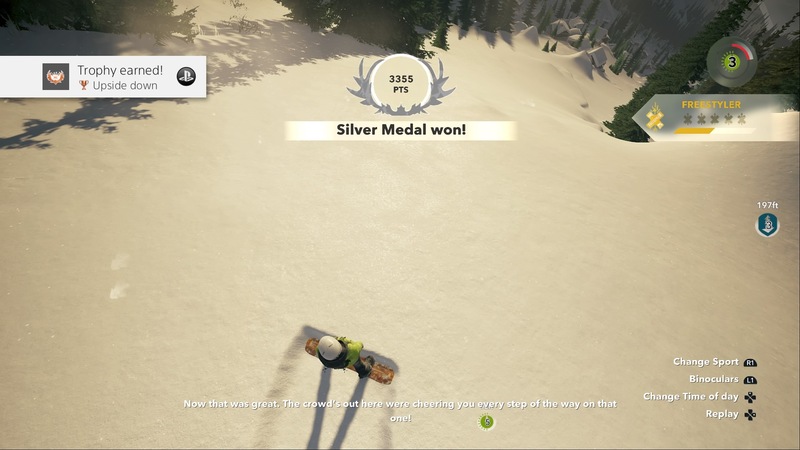 We say whichever activity because Steep isn’t just a skiing and snowboarding experience. 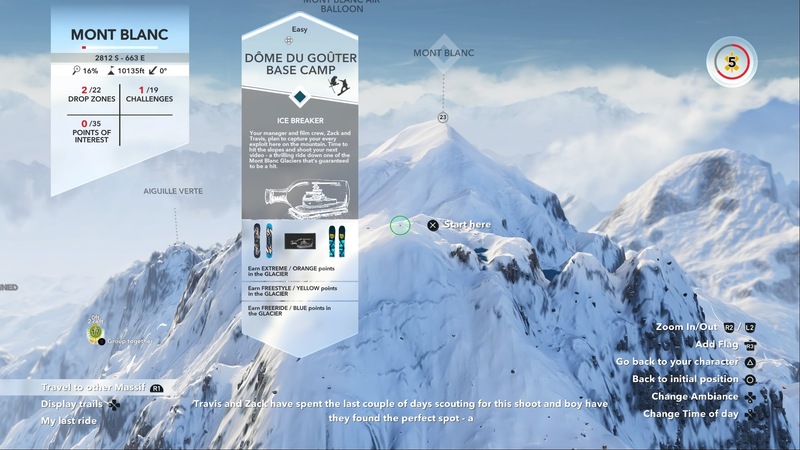 The activities available in the game include skiing, wingsuit flying, snowboarding, and paragliding, all with your choice of either 3rd or 1st person viewing. 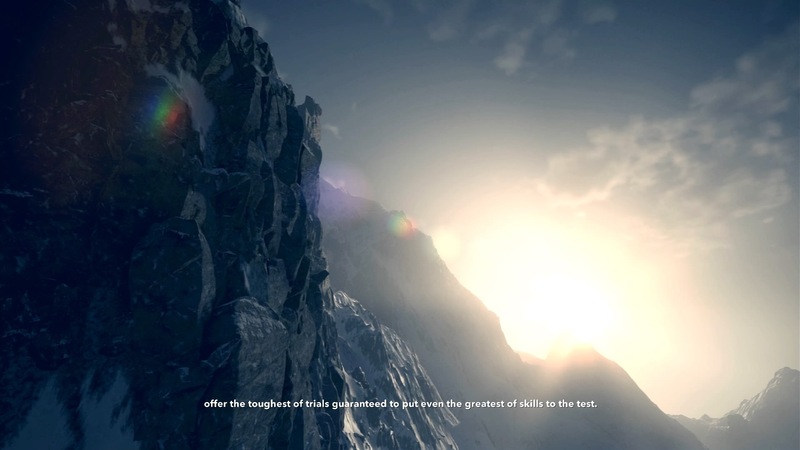 Wingsuit flying down the Matterhorn is an incredible experience that we would NEVER want to attempt in real life due to our general love for life, but is an incredibly awesome experience in Steep with zero chance of you actually dying. Paragliding is fun and all, but that wingsuit just screams death and/or broken bones. 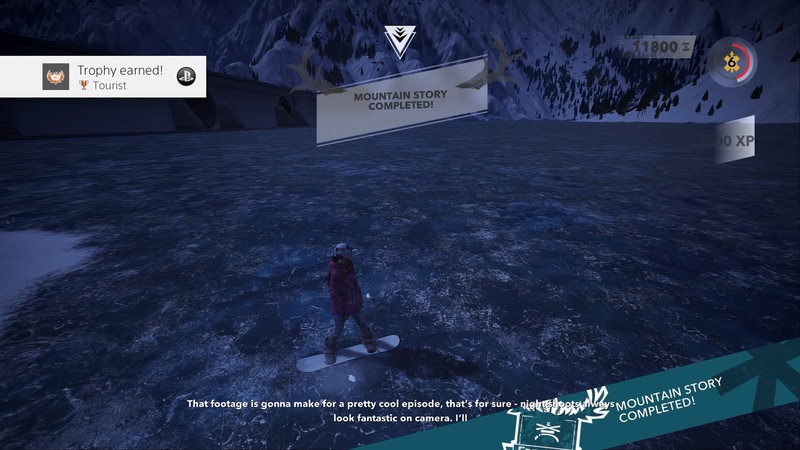 Skiing and snowboarding is fun as well and the trick system gives you ways to earn bonus XP and score bonus points on trick challenges. 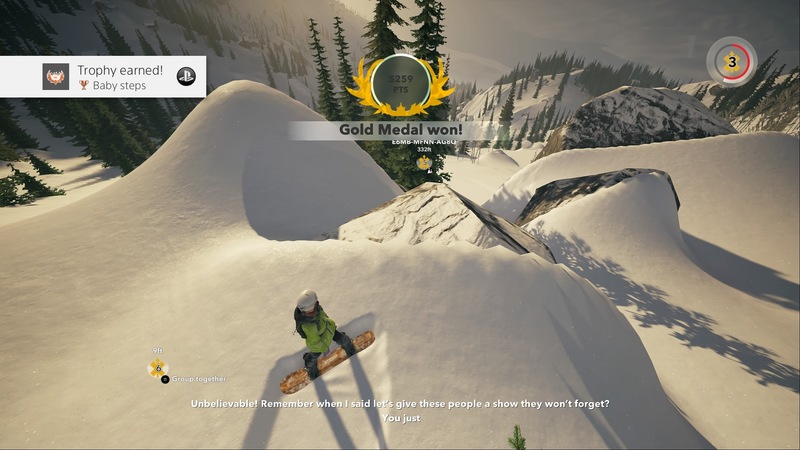 Load up pre-jump, launch off of a jump and flick the analog sticks while holding different shoulder buttons and you’ll be flipping out, backwards and forwards, spinning like a mad man, and nailing those challenges like a pro, earning gold medals and leveling up in order to take a shot at the higher rated challenges. 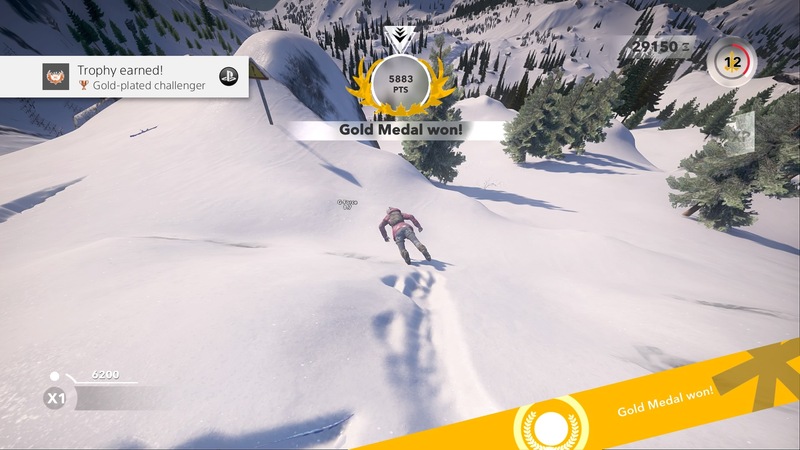 As you play through the game, you have six different playstyles you’ll work towards perfecting: Explorer, Extreme Rider, Freerider, Freestyler, Pro Rider, and Bone Collector. Each style has its own advantages and a combination of all of them is what you’ll end up with, regardless of how you choose to play. 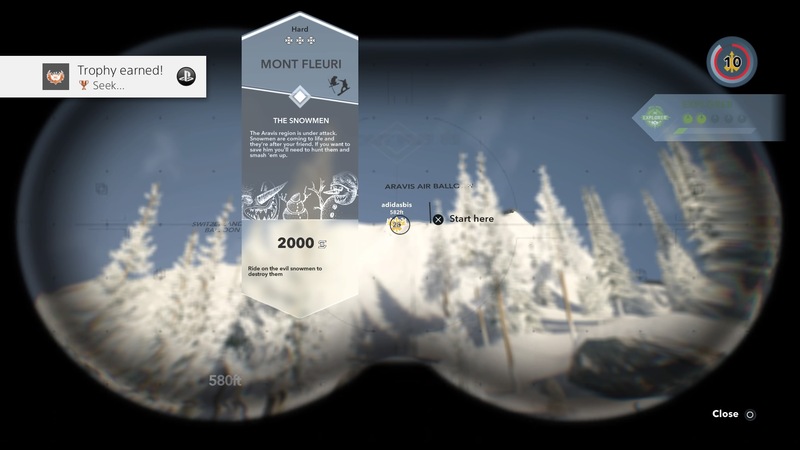 The Explorer style is what you’ll use to find new drop points that will unlock new challenges, and you have some binoculars that will help you scour the mountains for these spots. 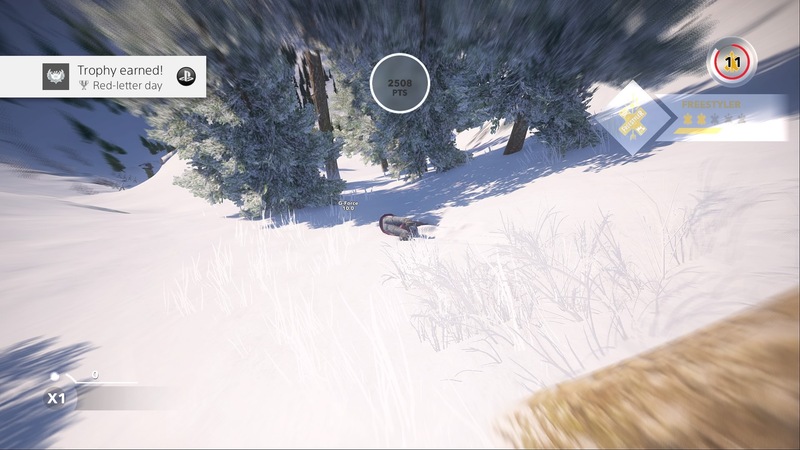 Our favorite to rack points up in is the Bone Collector, because the only way to collect those bones it seems is to smash them into the mountain. The wingsuit is a great way to collect those bones, and missing a gap between rocks at full speed at 80 Gs of force will pretty much break every bone in your body. They should have added x-ray technology on impact, but maybe that would have made folks a bit queasy. 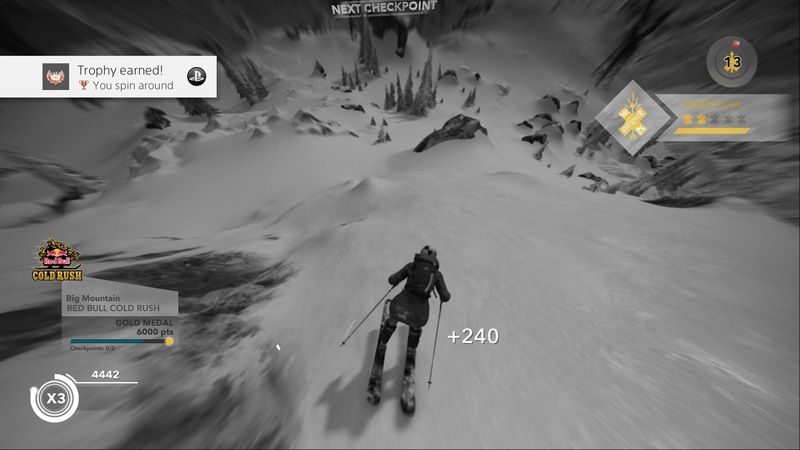 Unlike real life, there is no real death in the game so you’ll be able to get up and try whichever activity you wish regardless of how many Gs you hit the mountain with, with no time needed for healing and rehab. That definitely beats real life right there. 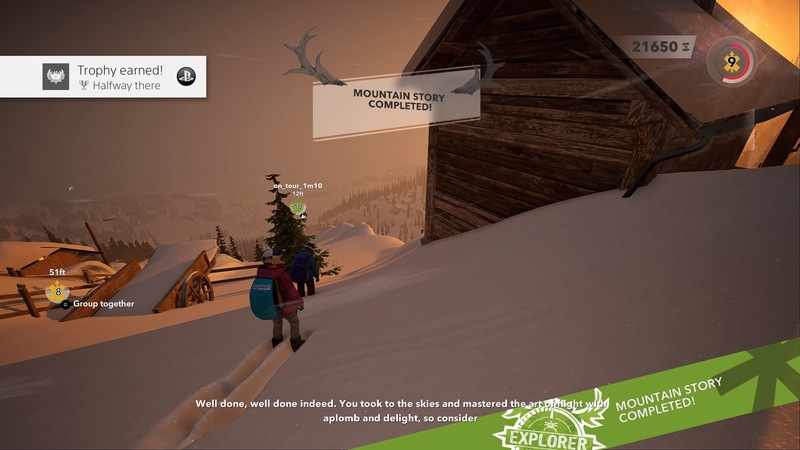 Steep is not only fun to play, it’s also gorgeous to look at and listen to. While paragliding in Alaska or the Alps, try not to be mesmerized by the view or you might end up crashing into one of those beautiful mountains. The mountains are replicated with a lifelike realism that is impressive to behold. Whether you are hitting the slopes in Alps or in the newest area Alaska, you’ll see some gorgeous scenery. The physics for the game tend to be skewed towards the arcade style, with trick performing and landing requiring a bit of trial and error to get that timing down just right. Luckily you can replay an event quickly and easily with the long press of a button, so retrying a course is a simple procedure. 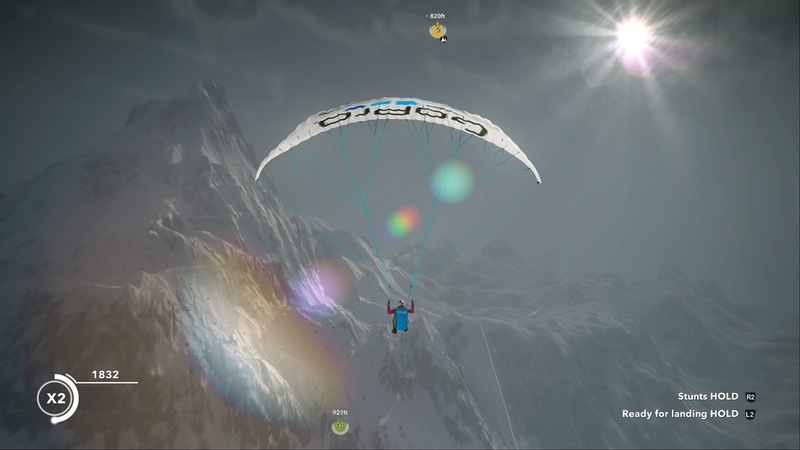 We’ve never flown a wingsuit so it’s hard for us to say anything about the physics of such, but that is, by far, the most intense aspect of the game. In complete contrast, paragliding is a great way to slow down the action and take a break from being an adrenaline junkie. In other words, paragliding is a slow task that some may find tedious and time consuming while others will appreciate the change of pace and incredible scenery. 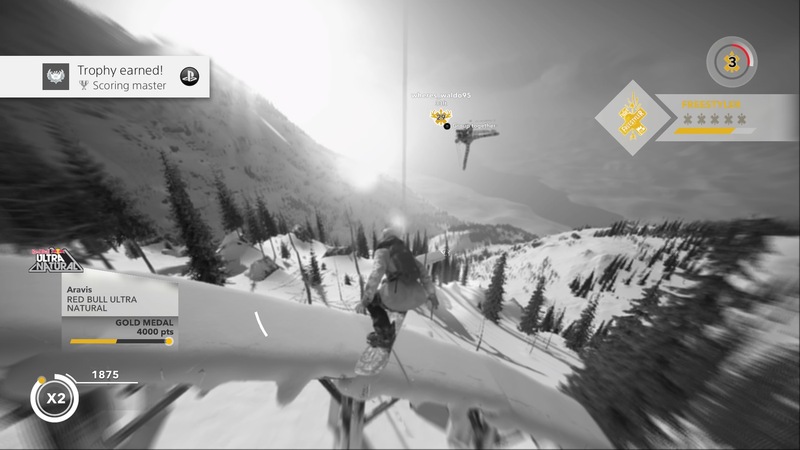 Developer Ubisoft Annecy, along with studios in Kiev and Montpellier, did an incredible job with Steep, creating an open world playground of snow and rock that is both fun to play and gorgeous to look at. Don’t just take our word for it, download it now and go play for free this weekend (3-10-2017).